At Angel Dental Care we specialize in dental implants. We offer implants and teeth in a day. You won’t have to go anywhere else as we do everything form start to finish at our offices. Come in and learn more about our dental implant process and affordable no hidden fee costs. All implants placed by board certified implant specialist not a regular specialist nor a general dentist. All restorations come with custom made abutments not pre-fabricated factory stock supplies. All work come with warranty. Over 20 years combined implant experience. 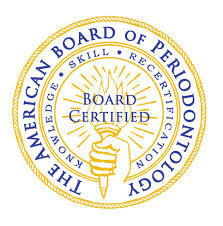 Our Dental Implants are placed by board certified implant specialists, not a regular dentist. Receive a free dental implant consultation and x-rays. Just call us today to set up an appointment (626) 444-2002 Mention you saw this offer on our website when you make the appointment for your free consultation and x-rays. Implants are man-made “anchors” that look like screws and replace your natural tooth roots. Dental implants consist mainly of titanium and other materials that are compatible with the human body. They are surgically placed in the upper or lower jaw, there they become a stable base for one or more replacement teeth. Mini implants, which are smaller than regular dental implants can be used to stablize ta removable denture. When implants are properly placed, the surrounding bone rapidly fuses with them and become part of the patient’s jaw. Subsequently, fabricated teeth can be attached to them for a permanent fixed or removable type of tooth loss solution. We will help you reduce your stress, anxiety and answer all of your implant questions throughout the entire process. Having all the right information up front before the procedure is critical to understanding the procedure and feeling more relaxed about the dental work. We are here to provide the answers to your implant questions. Often times, it is possible to place the implant at the same time a tooth, or teeth is being removed. This method will not only reduce the number of treatment visits, but also reduce the amount of post-operative discomfort. If the appropriate number of implants is placed, patients are able to get their temporary implant supported restoration on the very same day. Please call our office for a complimentary consultation to see if you are a candidate for this procedure. Dental implants are the closest things to natural teeth. Implants are the closest match for replacing missing teeth. Although fixed bridges are certainly an acceptable method in restoring missing teeth, their major draw back is that a couple or more teeth that are going to serve as anchors to support the bridge have to be reduced in order to make space for the bridge and allow the laboratory to put material in between teeth without interfering with a person’s bite. Additionally, if a person does not have at least two anchor teeth or the teeth are not strong enough, then a fixed bridge is not a viable option. Whether a person is missing one, several or all of his or her teeth, implants can restore speech and function easily and effectively. When a person loses a tooth, that individual’s body gradually shrinks the bone in that area. That would lead to shrinkage of the gum tissue. An implant, however stimulates the bone and prevents further shrinkage of the surrounding bone and gum. For individuals wearing or needing partial dentures, implants can increase the retention of their prosthesis or eliminate them all together. If a person feels that their false teeth are too bulky (they move when speaking or chewing), gets mouth sores because of their false teeth or that they would like to improve the looks of their smile, then implants are the answer. Often times, even one or two implants can transform an-ill fitting prosthesis into a secure and pleasant prosthesis. Dentures are loose, which usually require use of denture adhesives. 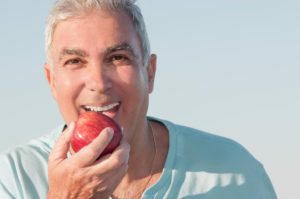 Dentures are not retentive enough for chewing all kinds of food. Causing trouble with speech and communication. Being removable and not being fixated in the mouth like teeth. But not anymore with implants. In most cases, a person can secure his or her lower full dentures with just two implants. Sometimes, even the existing denture can be retrofitted to snap onto the implants. Come in and meet your dentist to discuss your dental implant options and needs. We will walk you through the process, answer any and all of your questions and find the best route for your dental care. We accept Care Credit payment plans for dental implant procedures. Check out their website here https://www.carecredit.com.